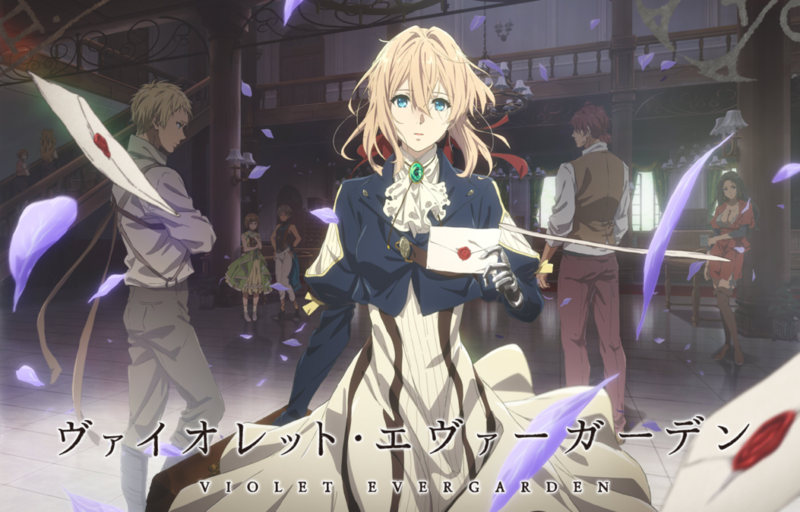 When KyoAni released its first trailer for Violet Evergarden back in 2016, its stunning visuals blew away almost everyone in the anime-watching community. 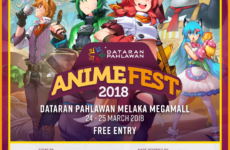 Since then, it has become one of the most highly anticipated anime for 2018. So this is it. Come Winter 2018, the long, long wait is finally over. With so much hype built around it, does it live up to the expectations its audience has for it? Read on to find out what a fellow anime-watching comrade (me ;D) has to say after the release of the first 2 episodes. Wow. Just wow. 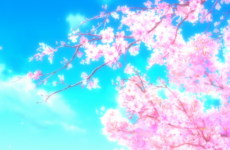 What can I say, KyoAni delivers yet again in the visual department with spectacular scenes and impeccable lighting that are pure therapy to the eyes. 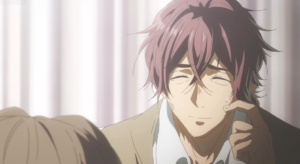 Also, speaking of eyes, ever since watching Free!, I’ve always been amazed by the way KyoAni is able to produce such beautiful eyes. Crystal-like and reflective. Violet’s eyes, in particular are of a very refined breed. Anyway, enough about this absurd tangent on eyes. A lot of care and thought is evidently put into character design; the color palette and uniform designs remind me of what I’ve seen in the Rune Factory games. Moreover, I’m also really impressed by the way KyoAni handles the portrayal of delicate emotions through the subtlest actions. For instance, Hodgins shifting his hands within his pockets when asked about Gilbert clearly communicates to the viewer his uneasiness regarding the matter. The great news is the second episode seems to match the quality of the first in terms of animation, so hopefully this continues to the end of the series. 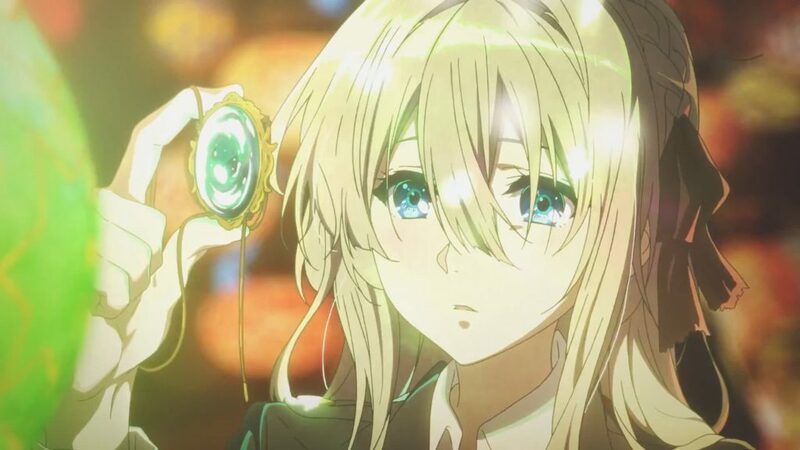 I ramble on at such length regarding the visual aspect of Violet Evergarden simply because it’s what stands out to me the most, thus impacting a great part of my first impression of the series. Of course, a series receiving this much attention in the anime universe is sure to attract a particular subset of viewers who will insist that the series is all sparkles but lacking in substance. 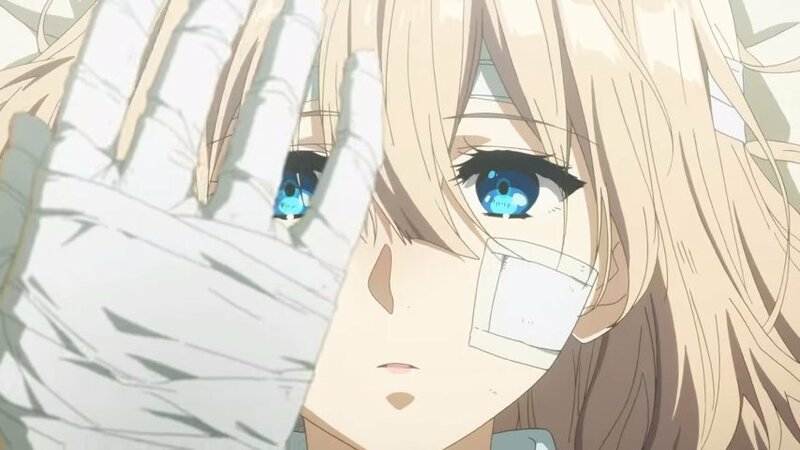 To this, I cannot give a definite response (as we are only in the early stages of the series), but I’d argue that Violet Evergarden has a very promising premise. Having spent my last winter break reading Natsume Soseki’s Kokoro (and the winter before that reading Dazai’s No Longer Human, FYI), I find that Violet Evergarden, being an adaptation of a light novel, shares a common theme with many other Japanese literary works – in that it deals with the intricacies of the human heart. I find the concept of the Auto Memories Dolls very unique. Having experienced the frustration of being unable to articulate my thoughts as concisely as I wanted to before, I find it intriguing that Violet, who is unable to understand the feeling of “love”, would desire to work as an Auto Memories Doll in hope of understanding the expression of love and what it truly means. Violet herself is actually presented as a pretty robotic character without much of a personality, but knowing her background in the military and the way she’s been brought up, I see a lot of potential for growth in the near future for her. I’m excited to see how the series will flesh out her character as she gets exposed to more different people and their unique stories. Probably my only issue with what I’ve seen so far is Hodgins’ attempt to “protect” Violet from the truth about Major Gilbert’s whereabouts. (Various scenes have highly suggested that Gilbert is either dead or not himself.) It irks me that in this 21st century, some people still believe that hiding the truth from others is a better idea than being blatant about it despite the fact that the truth will probably be revealed anyway sooner or later. Then again telling uncomfortable truths is never an easy task and perhaps I ought to empathize with him. Sound and music is integrated very well in the series. The background music is pleasant and the use of instrumentals aptly adds to the atmosphere in various scenes. No complaints in this department. Violet Evergarden starts off strong and shows a lot of potential for future development. I really, really hope that KyoAni doesn’t hold back on this one and continues executing it well. If you haven’t tried it yet, I’d strongly encourage you to go for it! Do you have any thoughts on Violet Evergarden you’d like to share? I’d love to hear what you think. Leave them down in the comments below and we can have a healthy discussion! 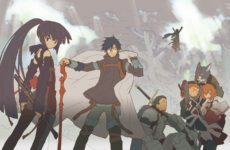 Previous Post Here’s Our Vote For The Best Anime of 2017!